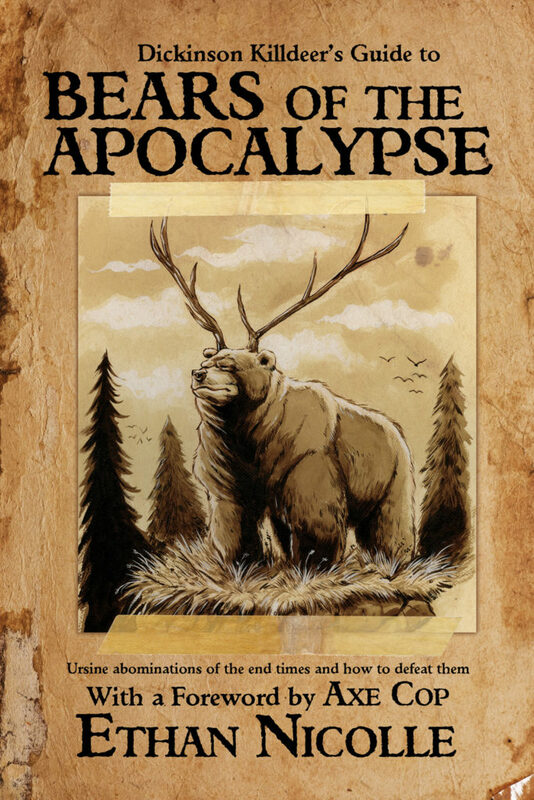 Dickinson Killdeer’s Guide to Bears of the Apocalypse: Ursine Abominations of the End Times and How to Defeat Them. This book is nearly finished. It is a page by page naturalist’s guide to bear hybrids. Each page features an illustration of a different bear hybrid, information about them and how one might go about defeating them in an encounter. The book was written by renowned survivalist Dickinson Killdeer who may have spotty memory, but his knowledge of the bear hordes is impeccable. 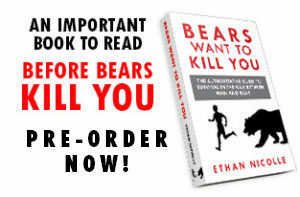 With a foreword by Axe Cop, this book is an indispensable road map to killing mutant bears. You probably want to know how to get one. This book will be released early exclusively to my Patreon supporters. They will get a FREE PDF as soon as it is done, and be entitled to order the book at my printing costs with a free sketch of a mutant bear inside. These are just some of the benefits of being a supporter on Patreon. Think of it as a subscription, but you name your price. It’s a way to tip me for all the free content. In return, I consider it my profit. I send you everything I make for free or at cost. My Patreon members get free PDFs of ANY book I have ever made, and always get early releases of my work. They also get to see exclusive art I don’t show publicly, like TV pitches and unreleased works. Watch my video to find out more about the benefits of joining me on Patreon. And if you are a subscriber to my mailing list, you are entitled to a free copy of Bearmageddon Volume 1 PDF. If you subscribed and didn’t get yours, let me know and we’ll fix that.